Javier Bardem In Ferran Adria Biopic? Pre-production is chugging along on the film adaptation of Lisa Abend’s el Bulli book, and now the producers are making their wishes known when it comes to the lead role. 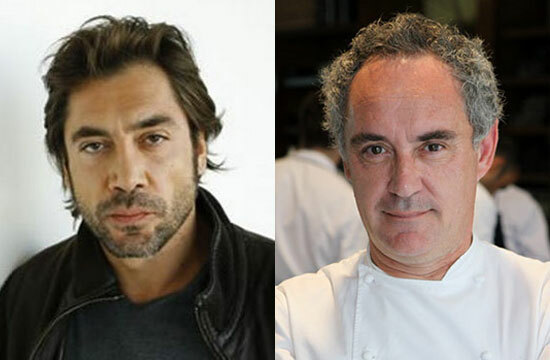 They are hoping for Academy Award winner Javier Bardem to play wizard chef Ferran Adrià. [Rousselet is] wary, though, of would-be extras who have begun swarming, hoping to taste a few dishes. So stop trying to sleep with him, sheesh! (Never stop trying for Javier, that is a noble, noble goal).